As a kid, what did you secretly want to be when you grew up? A doctor? A pirate? A new age punk rock/jazz fusion superstar? We know at one point or another, you thought to yourself that you wanted to be an astronaut, and we know that because every kid goes through an astronaut phase! But this out-of-the-world costume lets you feel like an intrepid space cowboy without any of that bad stuff! Made of 100% synthetic material, this uniform has plenty of pockets for storing your space gear, and features realistic embroidered patches for a more authentic look. 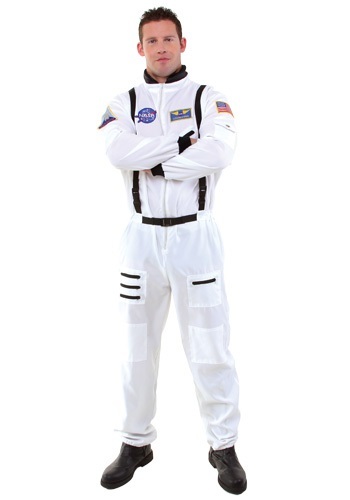 Add an astronaut helmet (unless you think you might barf in it...) and get ready for blast off. Your inner child has waited long enough!